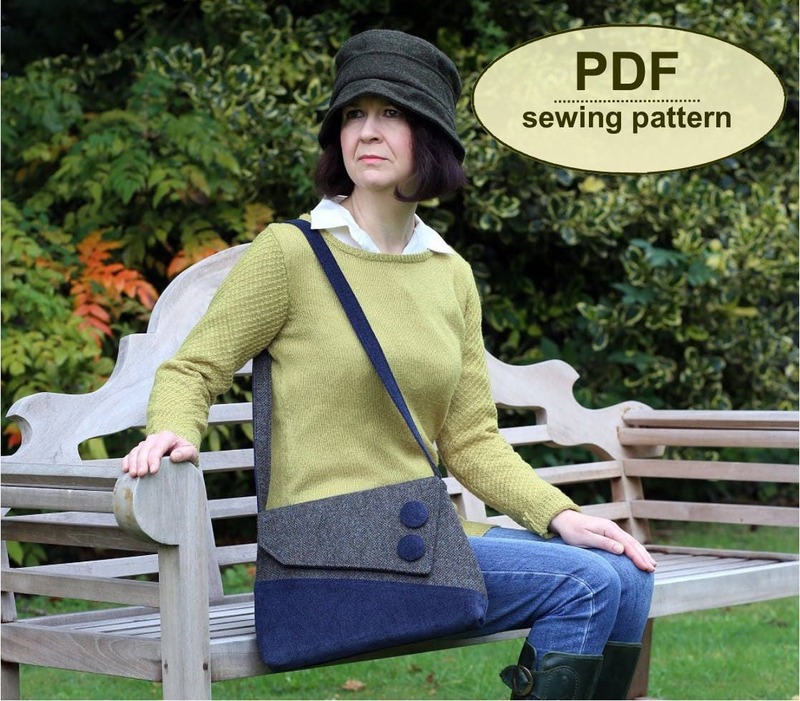 This is a PDF sewing pattern for The Sedgeford Bag. The simple clean lines of this design are reminiscent of the styles of the 1940s but with a modern asymmetrical twist, in Charlie’s Aunt signature style. 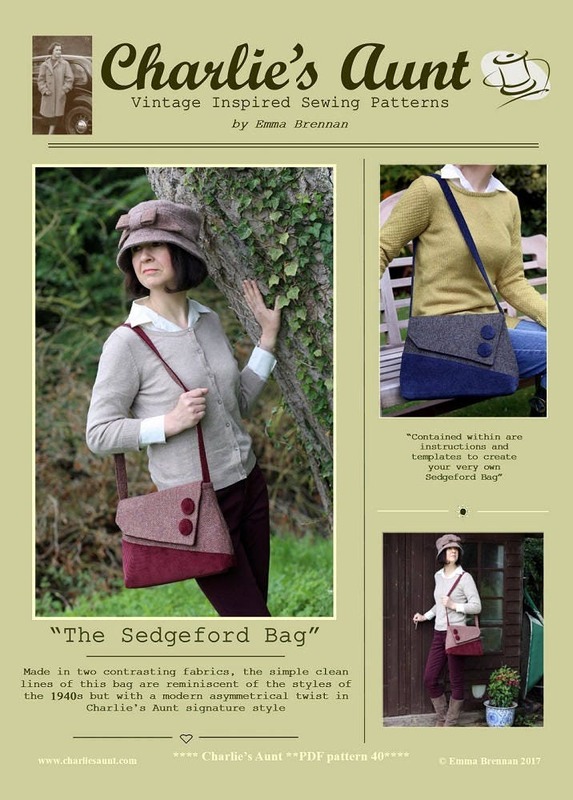 The Sedgeford Bag is my current favourite bag from the collection so far. 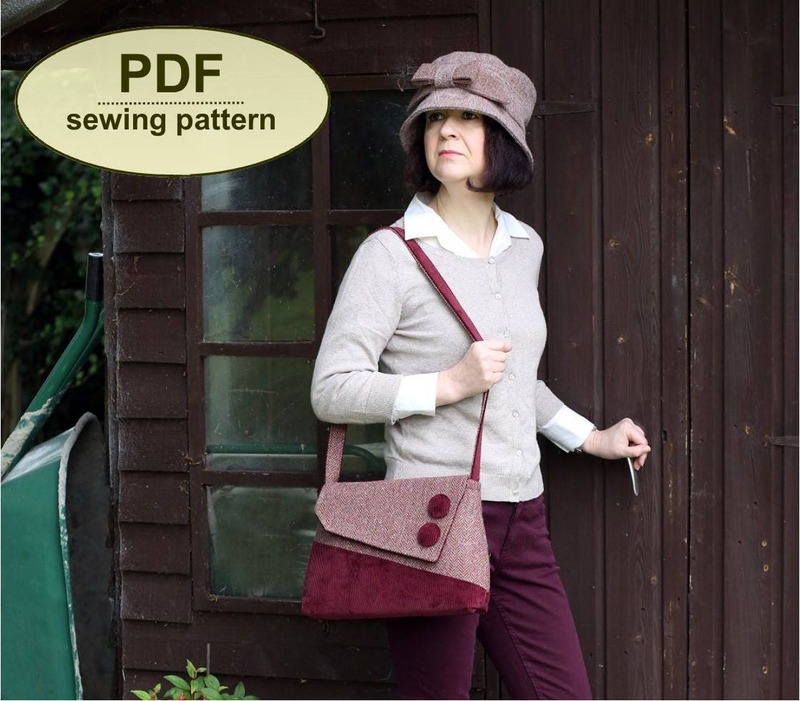 Is the perfect size to house all of the essentials for a day at the office, or out and about in the town or country. 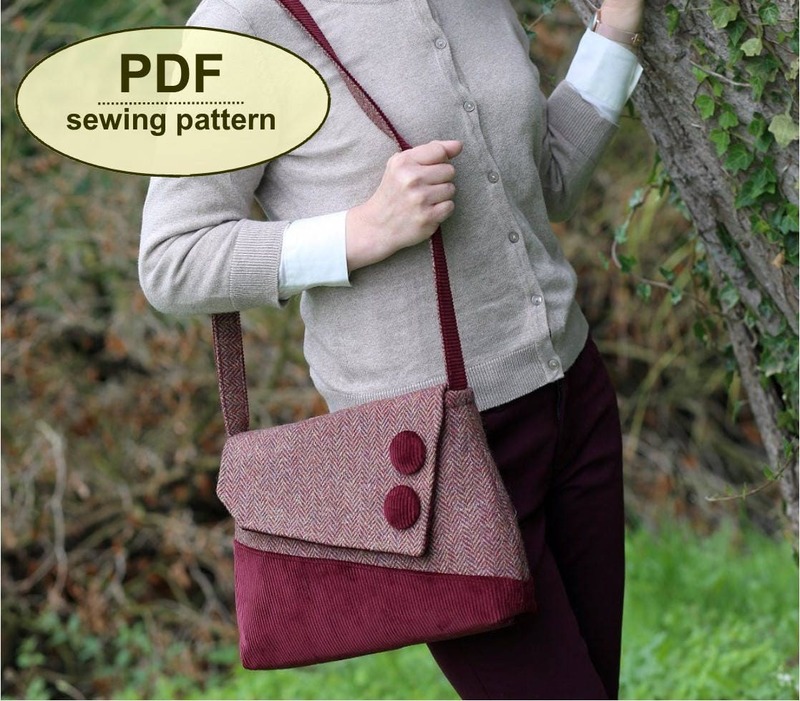 It is made with two contrasting fabrics and is suited to anything from tweeds paired with corduroy or velvet for autumn/winter to heavy cotton canvas or patterned linen for spring/summer. The flap template doubles as an interior patch pocket, of which you can add one, or two. 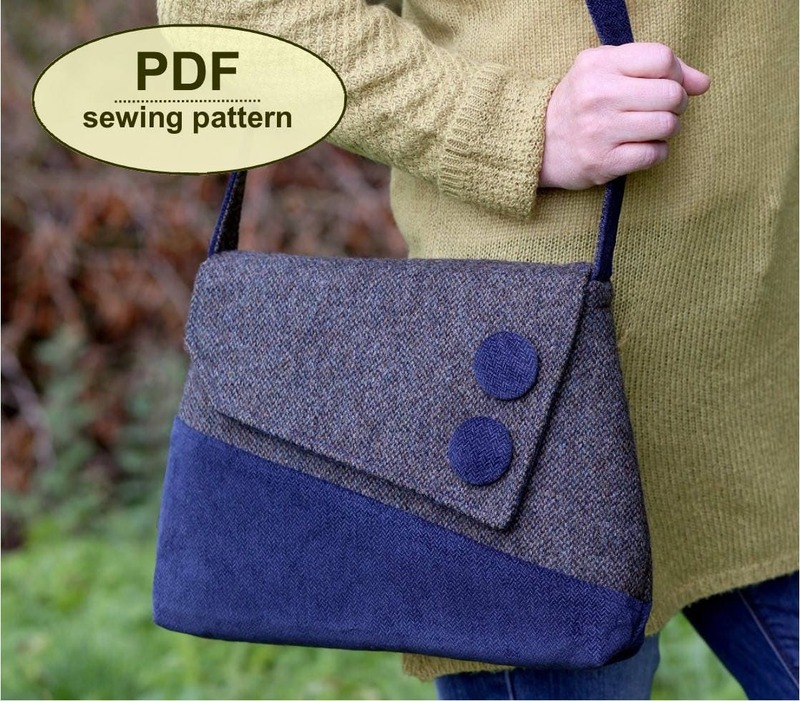 This PDF has 19 pages—10 pages including the cover, general, cutting out and step-by-step instructions, and 9 pattern sheets with the templates, which you must print and cut out. All of the templates are actual size and all seam allowances already added. As all of the templates are too big to fit on one sheet, you must cut out and tape these templates together where shown. Instructions for this are clear.